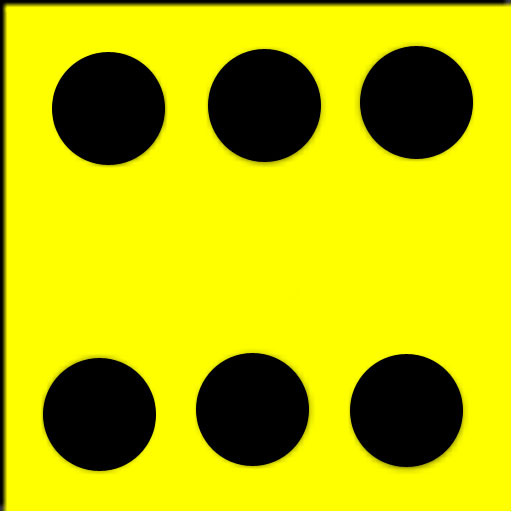 Six Dice is a game where you roll six dice. The object of the game is to reach the highest possible score (Grand Total). You combine dice in different ways and add to your score. In a game you can only use each combination once. All combinations must be used. If there is no suitable combination left you can select (tap) any that is not used and set it to zero. In each round you get three new rolls. Rolls you don't use are saved to the following rounds (Rolls left).